A perfect diamond is entirely colorless, without any hue or tint. The presence of yellow occurs most commonly within diamonds; subsequently all stones are graded on a Color Scale, determining their beauty and value on an absence of this cast. 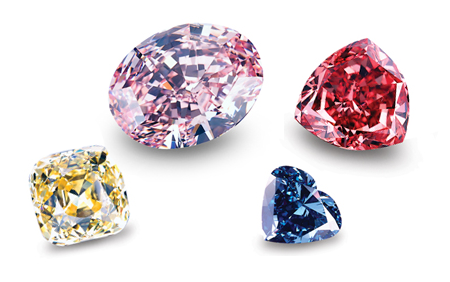 An exception is made for intensely colored diamonds known as ‘fancy’ stones. These rare, naturally formed diamonds are graded separately. As sharp and clear as a glacier, a colorless or near colorless diamond is the perfect paradox, for the most sought-after color is in fact no color at all. A diamond is formed of a rigid lattice of carbon atoms. A presence of nitrogen during the formation process causes the yellowish color that can be seen in low grade diamonds. The properties shared between a carbon and nitrogen atom explain the regular occurrence of these effects within the stone. 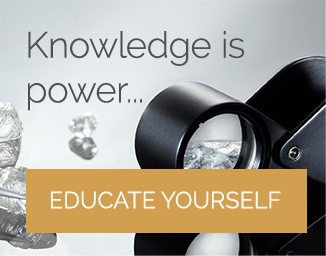 Even the smallest impurity of nitrogen within a diamond will cause discoloration. The final effect is one of an unclean, hazy diamond that does not refract the rainbow of colors or unleash the captivating sparkle of a colorless stone. If you're looking for colorless diamonds, I would recommend the A CUT ABOVE® Collection Series from Whiteflash. These are Colorless VVS Super Ideals. If you're looking for fancy colored diamonds, I would recommend Leibish & Co.
To ensure accuracy and consistency when assessing the color quality of a diamond, the GIA and AGS have constructed industry standard scales. 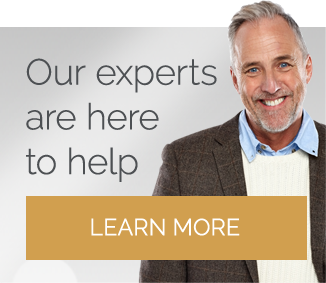 Changes between close grades, such as a D and an F, are undistinguishable to the untrained eye, yet they have significant impact on the value of a diamond. Gemologists conclude the final grade of a diamond using master stones. The set of master stones are placed beneath a neural light, ranging from D-Z or 0.0-10.0 and set against a white background. The diamond being graded will then be placed between two master stones, and moved up or down the scale accordingly. This process is repeated several times by independent gemologists until a final grade is concluded. Formed from the perfect union of heat and pressure deep within the Earth’s mantle, the value of a colorless diamond lies not only with its stunning aesthetic, but the rarity of the perfect conditions required for its creation. While the slight yellow hue of nitrogen can obscure the beauty of a diamond, when an abundance of new atoms bond with a diamond’s carbon structure the results can be breath taking. Red: The rarest and most valuable diamond, the striking red color occurs during a change in electron structure. Green: Natural radiation is sealed for eternity in a green diamond. Blue: Boron creates a vibrant blue diamond. Grey: From dove grey to the deepest ebony, clusters of graphite produce smoky, dark diamonds. The spectrum of fancy diamonds is infinite; a myriad of hues, depths and intensities as natural as they are unique. However, when looking at a traditional ‘white’ stone the mantra is simple: colorless is king. 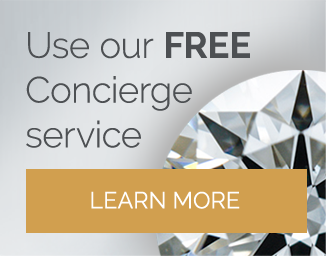 Make sure you read the other three Cs that could affect the value of a diamond: Cut, Clarity, and Carat.